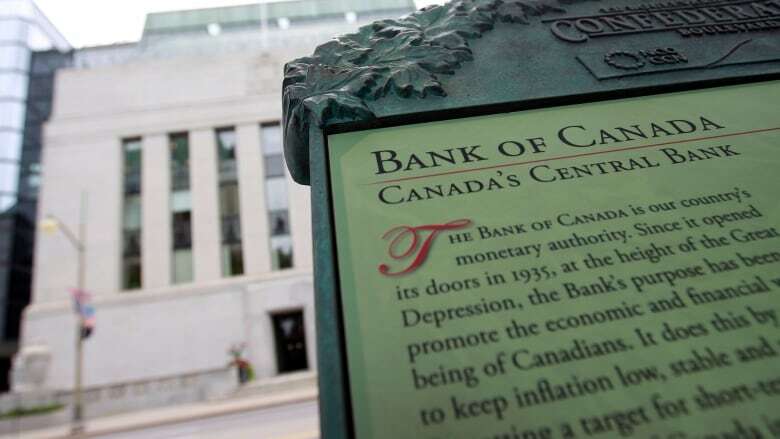 The Bank of Canada has decided to keep its benchmark interest rate unchanged while it digests the impact of its previous policy decisions and effect of drastically lower oil prices on the economy. The central bank revealed Wednesday it will keep its benchmark interest rate — known as the target for the overnight rate — at 1.75 per cent. The bank raised its rate to that level in October, the fifth time since the summer of 2017 that it decided to hike. The bank's rate directly affects the rates that Canadian consumers get from retail banks. When the central bank increases its interest rate, it makes borrowing more expensive — but it's good news for savers. None of the economists polled by Bloomberg were expecting an increase this time around, but watchers wondered what the bank would have to say about the plunging price of oil. The price of the Canadian oilsands crude blend known as Western Canadian Select dipped as low as $14 US per barrel since the bank last met, while U.S. blends never fell below $50. If prices persist, the impact on the broader economy could be enough to warrant a change in monetary policy. The Alberta government has implemented an emergency cut to production levels to boost prices, and the bank took note of the issue in its statement Wednesday. 'In light of these developments and associated cutbacks in production, activity in Canada's energy sector will likely be materially weaker than expected,' the bank said. Economists who monitor the bank zeroed in on the oil comments, among other things. 'A GDP hit is coming due to Alberta's production cuts,' Scotiabank economist Derek Holt said. The bank will next meet in the new year to reassess rate policy. Trading in investments known as overnight index swaps implies there's a one in two chance of a rate hike when that happen, but Bank of Montreal economist Benjamin Reitzes is among those who thinks another hike is no sure thing. 'Looking ahead to January, the [Bank of Canada] will likely need to be convinced to hike (rather than not to hike), so we'll need to see a solid run of data and oil prices at a minimum hanging in there,' he said. Toronto-Dominion Bank analyst Brian DePratto suggested it could be a while yet. Currency investors also seemed to be lowering their expectations of more rate hikes to come. The Canadian dollar plunged more than half a cent when the decision came out, dipping below the 75 cent US level to its lowest level since May 2017. All things being equal, a rate hike would send a country's currency higher, because it makes assets denominated in Canadian currency more valuable.